Print this page to complete this game... South Africa's Parliament has a new emblem. Each part of the emblem has a special meaning. The squares below contain words about the different parts, but the letters in the words have been scrambled. Click Here to see an article containing a picture of the new emblem and the words about each part. 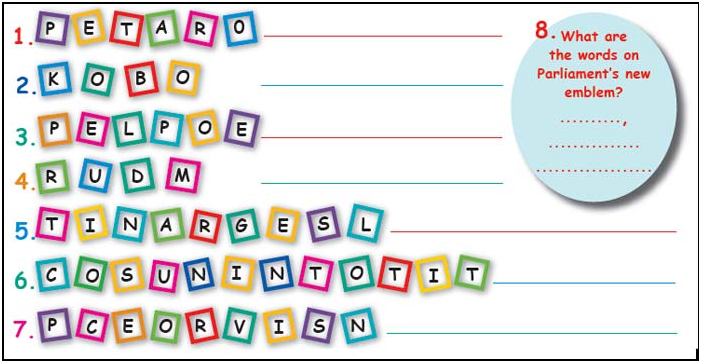 If you read it, it will help you unscramble the words below. Write your answers on the lines next to the blocks. 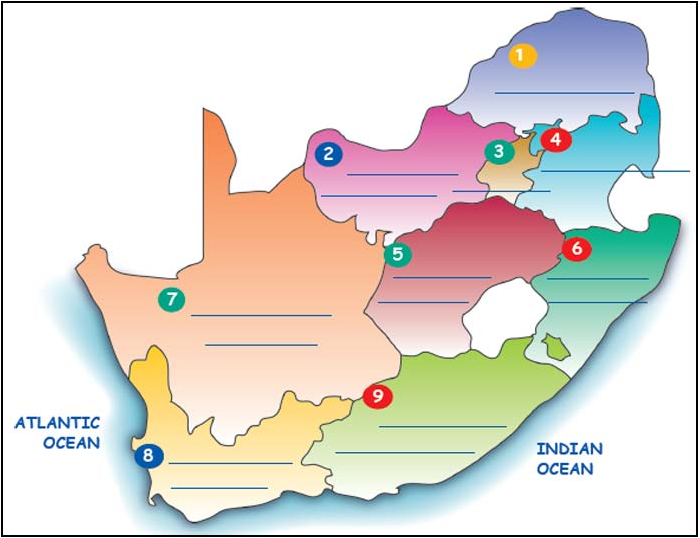 South Africa has nine provinces. This map of the country shows the outlines and positions of all the provinces, but the names are missing. Can you complete the map by filling in the names of the provinces?